Well, let’s see how far we’ll get with this! Check back to this page; I’ll update it instead of adding a new post every day. 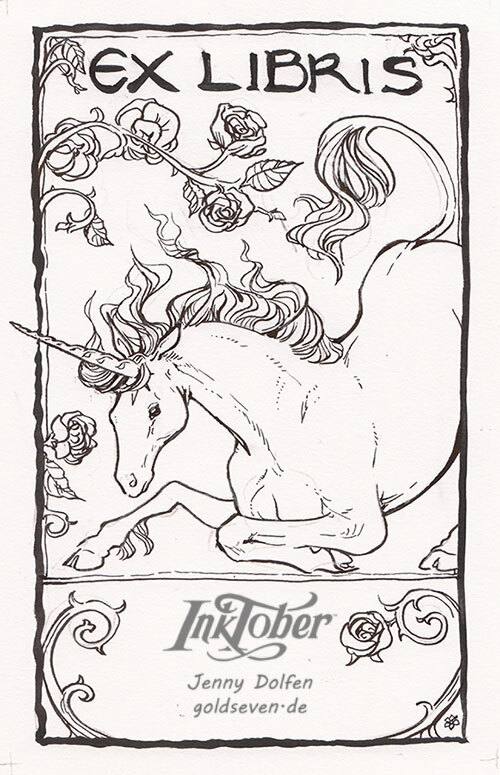 I plan to do an Ex Libris every day; in addition, I want to make it all sorts of myths, legend and mythological creatures. The unicorn was a safe place to start! Sorry folks, my eyes just hurt too much at the moment to produce anything that I can bring myself to post, and doing faces without much erasing is just impossible, as I can’t see my mistakes properly. I’ll just dump some part-ink October studies in here.